The city of Trapani, at the western end of Sicily, is a centre that bases its economy on several pillars: mining and salt trade, the port, fishing, mining and trade of marble and coral working. 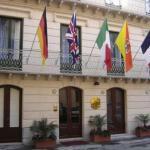 In Trapani are available hotels of all categories, 5-star hotels but also budget hotels. 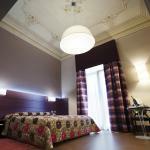 3-star hotels in Trapani are both in the historical centre and on the waterfront. Select travel dates and find all available hotels in Trapani, check out guests reviews and locate properties on Trapani city maps, book your favourite accommodation with no pre-payment. All rates are in Euros and inclusive of all taxes. The Relais Antiche Saline is located inside the regional park of salt in a great location between the cities of Trapani and Marsala. From the hotel you will enjoy breathtaking views of the Aegadian Islands. 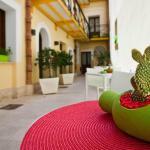 Traditional style hotel with cream façade situated opposite the island of Egadi in Trapani, 100 metres from the port. 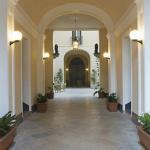 Residence Rosa dei Venti occupies an elegant building dating from the early twentieth century. Located in the city of Trapani, the hotel is within walking distance from the port and beach. 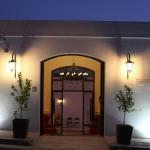 Officina gastronomica Resort is located in the countryside around Trapani. This hotel is easily accessible from the A29 and is the ideal starting point for sightseeing in the area.